While some claim he was kicked out of the lounge, some say he decided to leave. 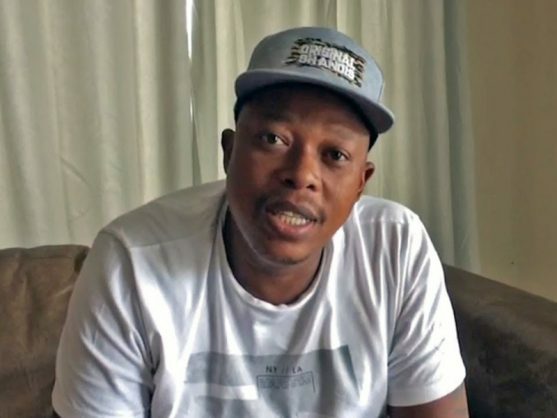 Assault-accused Mandla ‘Mampintsha’ Maphumulo made the Sunday trends list after a video of him being confronted by patrons at Cubana Lounge in Pietermaritzburg circulated on social media. Those who claim to have been there said there was no violence involved, and that the men only confronted him about his pending assault case. Mampintsha apparently went to Cubana for drinks after performing at another club, only to find a crowd not pleased with his presence. In the video, men can be seen pushing Mampintsha around, while some chant “khona ingane la”. The video left many social media users pleased with the patrons’ actions, saying it showed South Africans were beginning to take a stand against women abuse in the country. This came hours after Mampintsha’s apology in a social media statement on Saturday in which he attempted to apologise to both Babes Wodumo and South Africa at large. Mampintsha said that he was ashamed of and disappointed in himself and further claimed to have handed himself over to God. He also claimed that most of his friends and acquaintances had allegedly turned their backs on him. The Big Nuz musician recently made headlines after a video clip of him allegedly assaulting Wodumo went viral after being posted by Babes Wodumo on her Instagram account. After days of being criticised by the public and fellow artists, Mampintsha told media outside the Pinetown Magistrates’ Court earlier this month that Babes Wodumo had previously attacked him and had a drinking problem. “If she could stop drinking she would be alright,” said Maphumulo, who made his statement in isiZulu. He had minutes earlier been released on R2,000 bail after handing himself in to police. He is facing a charge of assault.